"Neapolitan pizza has flown as high as it can go. It is not the zenith of pizza." Seriously, though, it's not my favorite style, although I am appreciating it more and more as time goes by. I'll have to try UPN again, but I suspect that you may be on to something here. That the competition has caught up. 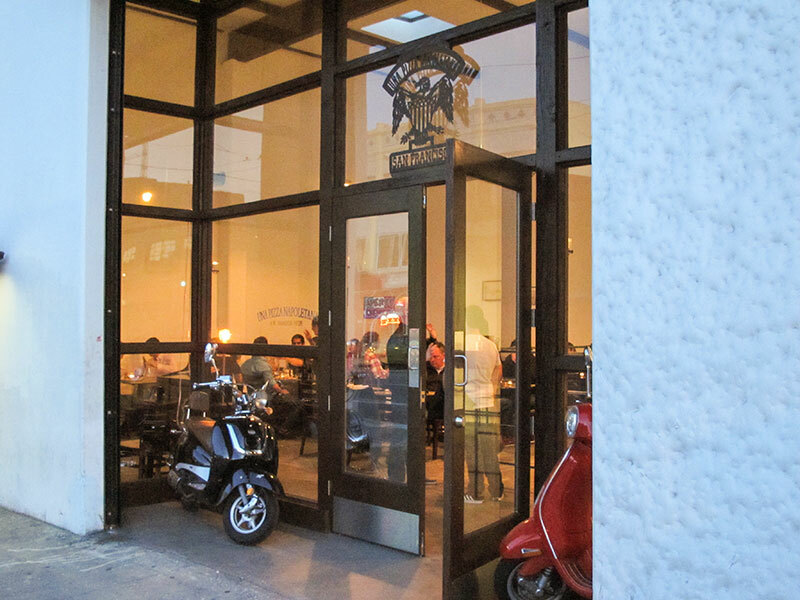 When he opened, he was THE guy to beat as far as Neapolitan-style pies went. I haven't had a UPN since he left NYC. Would love to see how it holds up after having eaten at the newer Neapolitan joints. There is only one pizza in the NY area better than Keste, Mangieri, etc....thats Pizza Luca! A mobile Neapolitan pizza truck that has fine tuned the "knife and fork" pie to a well balanced assembly of deliciousness. I'd be willing to put money on that! @Adam K: I still appreciate Neapolitan pizza, and I'll never stop eating it, but yeah, competition is too stiff to say Mangieri towers above the rest. Really curious to hear how you feel about it after all this time, though. What would you say is your favorite non-Mangieri Neapolitan spot? @Dean: Hopefully the guys at Serious Eats in NY can try your place soon. Pies look good on your site! But again, this is all based on one visit. That is one very fair and very accurate review. 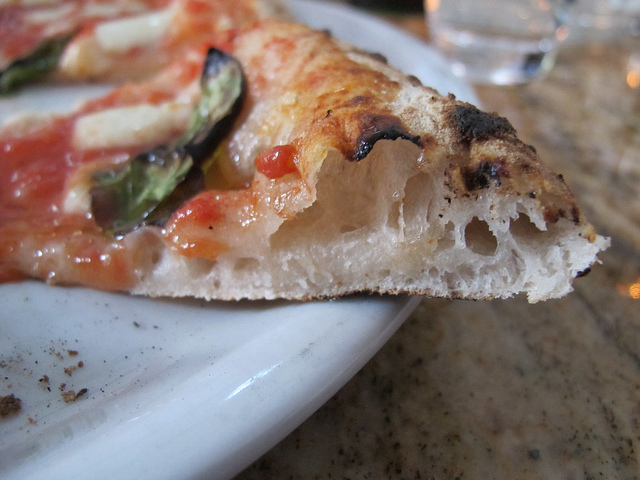 Neapolitan pizza has floored me (in a good way) on many occasions because it begins with superb bread and yet it's so different from the pizza I grew up eating. I think someone COULD take it to the next level by finding a way to cook the top. These puffy pies bake so fast, there is no time for the wondrous carmelization and cheese/sauce/crust meld that takes place at Patsy's or DeLorenzo's. And, in the final analysis, bufalo mozz is generally too wet to make a great pie. It's still wonderful, it's just not as good as the $10 large pie at Lee's Tavern in Staten Island. @CCPG: I haven't visited Staten Island yet, but how does Lee's compare to Denino's? @Adam, I loved both pies. Denino's is a superb crust in the best NY/Trenton style -- their motto is "in crust we trust." And I love the energy in the place -- lots of satisfied regulars there. I reviewed it (http://mainlinepizzaquest.blogspot.com/2011/09/review-deninos-pizzeria-and-tavern.html) and concluded that "Like DeLorenzo's in Trenton, like Totonno's, like Lee's Tavern, the wonderful crust had both flavor and the right texture, and the ideal melding/fusion of crust, sauce, cheese, savory meat toppings. The cheese was fine, but it took a back seat to quality meat toppings (especially the sausage) and, most of all, the sauce." The sauce was very salty, which I loved, and I think it helps account for the popularity. @Adam, As for Lee's, it is the perfect bar pie. Conventional ingredients, extraordinary execution. It had that classic stiff-but-chewy crust. I reviewed it (http://mainlinepizzaquest.blogspot.com/2011/07/review-lees-tavern-60-hancock-st-staten.html) and noted "The pie truly had the classic "bar pie" cracker-thin crust. It was devoid of char on the bottom, but it was cooked about perfectly and it had great flavor. At the cornicione, there was no bend or chewiness -- it crumbled just as a cracker might but with tons of flavor. The sauce sparkled, with a deft touch of sweetness and saltiness. The cheese seemed to be conventional mozzarella or mozz blended with another cheese. What I discovered as I eagerly wolfed down half a pie was that Lee's has achieved the same magic as Totonno's in Coney Island; namely, the lyrical melding of crust, sauce, and cheese. The whole is truly greater than the sum of the parts." On my list of "41 Pies Worth the Calories," (http://mainlinepizzaquest.blogspot.com/2012/04/forty-one-pizza-joints-worth-calories.html), Lee's came in 5th and Denino's 6th, ahead of Motorino and Forcella. It does reveal my bias for Trenton/NY style over Neapolitan. Nice write-up Adam. But I think "undisputed king of the United States’ Neapolitan pizza scene" is a bit of an overstatement. He makes, as you noted, a truly outstanding crust. But given the paucity of choices in terms of toppings, it's hard to say he was ever the undisputed king of any pizza scene. Great bakers make great bread; great pizzamen and pizzawomen do quite a bit more. I think Mangieri is somewhere in between. 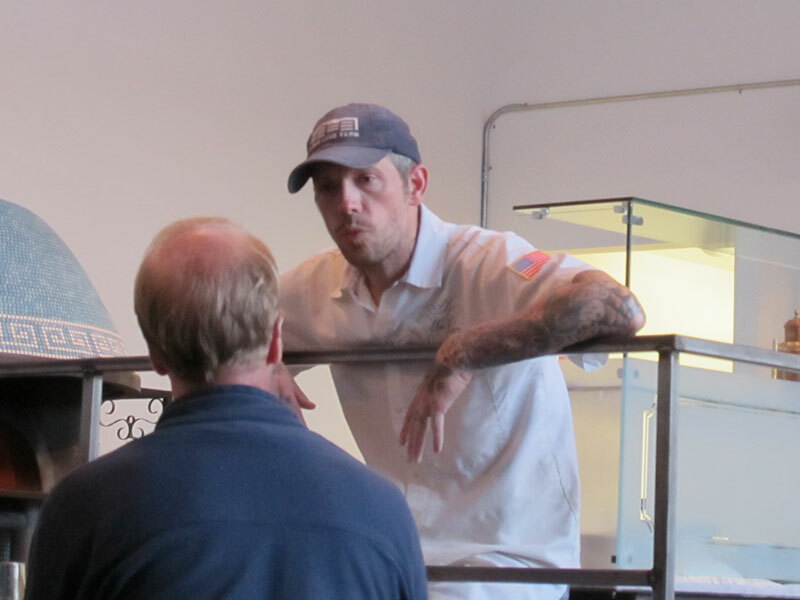 @Dan: I agree that he's not the "undisputed king of the United States' Neapolitan pizza scene" anymore, but he was sure held in that light only a few years ago, not only by several pizza aficionados like Jeff Varasano by also by Ed Levine in Pizza: A Slice of Heaven. Perhaps it was all hyperbole back then, but he definitely was held in that esteem by a great many people in the pizza-munching community. Maybe no one ever used the term "undisputed king" but the sentiment is the same. But again, I agree with you that Mangieri is somewhere in between a great baker and a great pizzaiolo, and to call him the "undisputed king" now is absolutely an overstatement (that some are still making). I'd love to see Mangieri branch out into different styles of pizza, but I'm not holding my breath. Hey, I can dream, can't I? I'll be reading your blog more in depth now that I know about it. Looking forward to getting some good recommendations. @Adam L./Dan: I would say Adam L. is on target with the "undisputed king" moniker IF you confine it to 2004, 2005 -- mid-aughts and look at it through a certain lens. There were very few Neapolitan pizzerias in the U.S. at that time. In May 2004, shortly before UPN came to NYC (it had been in Red Bank NJ before that), there was La Pizza Fresca and Naples 45 (NYC), Antica Pizza (LA); Coppola-Niebaum Cafe (Palo Alto CA) Punch (St. Paul) Regina Margherita and Il Pizzaiolo (Pittsburgh), Il Ritrovo (Sheboygan WI), Tuttabella (Seattle) 2 Amy's (DC). Maybe some more. But certainly not like they are today. He's right when he says it's an overstatement today. 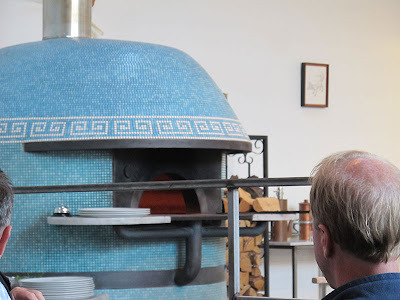 But at the time, he did two things which fairly or unfairly got him that kind of praise -- he opened in NYC, where, ahem, certain pizzaheads and a lot of the national food media is based AND he went balls-out with his NEAPOLITAN IS THE ONLY TRUE PIZZA thing. We hadn't seen this kind of pizza-strutting before, and I think the pizza chroniclers (I'm guilty of it as any) were taken in by it and helped lionize him. That's not to say I didn't think his pizza was great but that his image and creed helped fuel a lot of the buzz. These days, I hope I'm less prone do buying into image and hype. But at the time, in that place, he was pretty much THE KING of Neapolitan pizza. These days, obvs, that's a little harder to call. Not that I'm looking to crown a king. I'm just happy eating good Neapolitan pizza where I can find it. 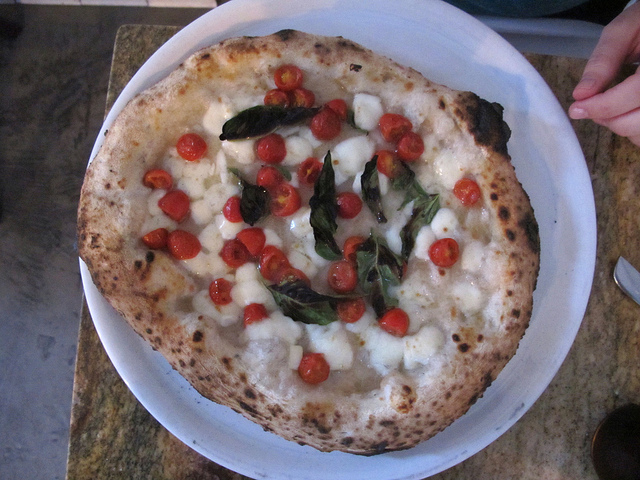 @CCPG: I like what you're saying about tweaking Neapolitan pizza, but at a certain point, it seems to be taking it out of the realm of "Neapolitan" and into some sort of hybrid pizza the classification of which only pizza nerds would care about. (Um, that would be people like us.) But to have a good Neapolitan crust paired with teh crisp cheese and cheese-sauce meld you talk about would be awesome. Somebody SHOULD do that. @Adam L.: To answer your question, my favorite non-UPN Neapolitan places are Forcella and Kesté/Don Antonio, and Pizzeria Picco in Larkspur CA. @Adam K: Both excellent spots. And yeah, I agree, even if Palombino gets more creative with the toppings than the Italians do, his base pizza is still Neapolitan. 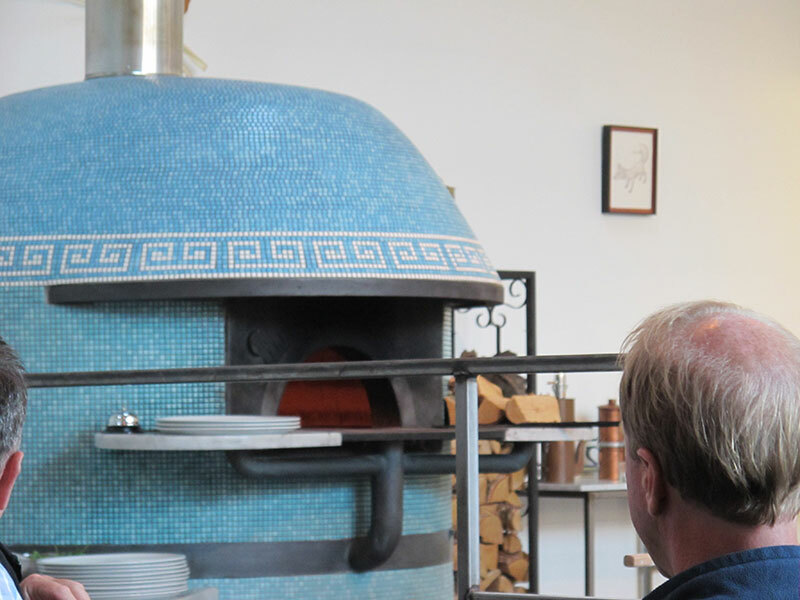 As for a Neapolitan crust paired with crisp cheese and cheese-sauce melding, that actually almost exactly what I experienced at Pizzeria Picco in Larkspur. For whatever reason, they were using aged mozz on my visit instead of fresh like when you visited, so there was a bit of cheese browning and sauce integration. Delicious. You can see the photos from my visit there (just click "Pizzeria Picco" in the column on the right), although at the time I had the crappiest camera in the world, so the shots are pretty damn ugly. Di Fara is not very good. The overall vibe there is one of a kind, but the pizza is not very good. Add the shockingly high price and it becomes not even in the top 20 pizzas I would want in the NY area. On the other hand, I do agree that an extremely well made Neapolitan has a certain ceiling. @Anonymous: We'll have to agree to disagree about Di Fara, although the price does sting. I consider it a luxury I only spend on the rare visit to New York. I was dreading you bringing the hammer down, Adam, but I don't disagree with most of what you say. This is one of the best UPN pieces I've seen in forever. I'm the biggest Mangieri supporter of anyone I know (especially among the pizza nerds posting here), partly because I'm a sucker for the mystique/narrative and partly because the Neapolitan Margherita is my favorite pie...but the 5 pizza cheese/sauce variation menu is bordering on parody now. Especially when you compare it to all the new pizzas and styles that we've seen come around in the last five years. Pizza conservatism is starting to look really silly in 2012. I think the backlash will only get worse. With all that said, I've been four or five times since he got to SF and every time I'm nothing less than delighted. Everything about it his the sweet spot for me, not just the bread. I think it's better now than it was in NYC (though that could have more to do with me than him). For whatever reason he's got my number. 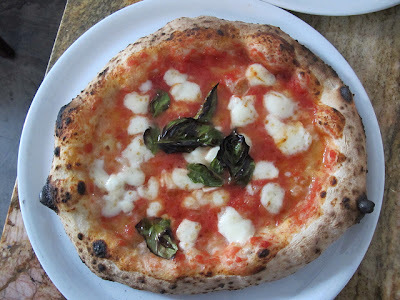 Mozza is charging $20 for a margherita with bufala and Chris Bianco's tomatoes and I take umbrage to that, but I'd probably pay more than $20 for Mangieri's margherita. Even after all the amazing pizza I've had in the last year in NYC, Chicago and the Northeast, it's still my favorite margherita (though not my favorite pizza, Caleb's Amore currently holds that title). I may yet get the margherita out of my system, but it hasn't happened yet. Side note: I really liked Picco but I wasn't impressed enough to drive up again. In fact, I think I had a better pie at Zero Zero. Of course, with only one visit under my belt, it probably gets marked up as "one of those days." @Lance: Holy crap, I had no idea Mozza was using Bianco's tomatoes now. I've always felt Mozza's Margherita was one of they're weakest pies, and I'm not sure swapping out the tomatoes would help...but I have to say, I'm curious to find out. I didn't go quite as in-depth into UPN in this write-up as some other places I've visited in the past, but that's only because there has been SO MUCH written about Mangieri and his pizza that I felt like anything I said would just be a tired echo of a thousand other blogs. But thank you for your kind words nonetheless! One point I want to reiterate is that UPN makes damn fine Neapolitan pizza, and if you love, love, love Neapolitan pizza, I think it's as good as you'll find in the States. I just don't have that intense love for rigidly Neapolitan pizza like I used to, so it doesn't ring my bell like it does other people. I don't think Mangieri should STOP making his super-authentic Neapolitan pizza, nor would I dissuade anyone from going there. I'm just not all that interested in returning. But that's just me! When you say Caleb's Amore, you mean the Amore oi Mari at Pizzicleta, right? Caleb's been on my radar for a long time now; I just never have any reason to be in Flagstaff other than that. But it's close enough to Phoenix that I can justify hitting two major pizza spots in one trip. Wish it were sooner rather than later, though. It's tough, because New Haven is where I'd really like to go next. This lack of bottomless funds is really cramping my pizza globetrotting. I always thought the same of Mozza's margherita. They have a special menu now of six pies where they use Bianco-DiNapoli and bufala mozzarella and from what I've had, they are great. They go a little light on the mozzarella, but it all comes together in a way it never did before, but the markup is atrocious at $20 and up, way up -- AND they're 2/3 the size of UPN. When you get down here we can split one so we don't hold our nose at the price. Caleb is indeed Pizzicletta Caleb, and that's the pie. I've gone twice and that pie is beyond killer. I'll never go to Phoenix and not hit Flagstaff again. It's about 2 hours from Bianco's, totally worth it. Funny you bring up New Haven, that's the final frontier for me now and we're talking about doing it in the fall. Scholls really changed up my idea of New Haven style and I have been hankering ever since. Oh, and I know you're not cracking on Mangieri, don't worry. I'm the Bianco evangelist not the Mangieri one. When you can have such disparate favorites from people like you and Kuban and Zemans, it shows that there's no "right" pizza. Though I would argue from my time in LA, there certainly is some "wrong." @Lance: I hear you there, and no way would I file UPN as "wrong" pizza, it's too good for that. I will definitely take you up on the Mozza/Bianco pie exploration next time I'm in L.A. I know what you mean about not wanting to repeat stuff that's been worked over, but I agree with Adam K. It's not repeating if you're giving your impression of the Mangieri narrative. We may already know the story but I don't get tired of hearing different takes from people like you in the know. I love guys like John Wozniak over at Slice because he's always got a really strong, usually contrarian opinion of what the conventional story/wisdom is. With all that said, I still really enjoyed your piece and I meant what I said earlier. The Mangieri narrative is what convinces half the people that his pizza is more unique than anyone else. If you sit there and you tell people you have the best olive oil, you trick them into believing it. Mangieri even brags about the salt he uses. When I ate at UPN, the tomatoes were bland, the pie was doused in oil, and the crust was above average. @Adam L - Regarding your fear about an oversaturated pizza blogosphere, it may be somewhat accurate about the high-profile pizza joints; who needs to read another review of DiFara? However, once you get outside the NY-Chicago-SF areas, there are great gaps in pie coverage. I am surely biased, but DeLorenzo's (formerly Trenton, now Robbinsville NJ) is largely undiscovered. It's always mobbed with locals, but who is flying in from the coast? You should be! There is the shocking and unlikely burgeoning coal-fired pizza movement in Boca Raton that has shattered my broad-brush notion that "when in Florida, eat a grouper sandwich or go hungry." Is there destination pie in Kansas, Montana, Maine, West Virginia? Probably, but not enough pizza geeks like us to ferret them out and share online. Even Philly, my home turf, isn't getting adequate pie press. So scribes, keep scribbling. @Flushy: It's a great sign for the current state of the pizza industry...though less so for UPN. I honestly can't justify a "special occasion" here when there are so many places doing Neapolitan pizza just as well at a lower price point. Doesn't mean he's not doing great pizza, because he is, it's just not worth spending $40 for two 10-to-12-inch pizzas. Not to me, anyway. It ranks right up there with my Di Fara, Ken's, and Motorino experiences. Come here every year for wedding anniversary & sometimes for pre show meal. Lovely food with excellent service always attentive without being intrusive.. My husband and I are a big fan of their pizza! Authentic! @Adam L.: I have been to UPN a few times now in S.F. and it has declined in quality each time to where the last time I went it looked like your margherita photo above with the not-quite-melted cheese. While the pie is still great even like that, I honestly hate the vibe of the place which is why I doubt I'll go back. Nothing about it or his presence makes you feel welcome. Have you ever talked to him? I would like to some time to see if he is a good guy, but the way his place is set up he makes himself so unapproachable. To add to the Neapolitan crust paired with crisp cheese and cheese-sauce melding point, I think Brandon Pettit at Delancey in Seattle achieves that quite nicely on his Brooklyn pie. 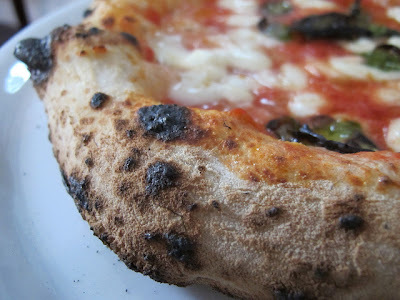 One of the best I've had anywhere- a perfectly charred crust with a bright sauce, aged and fresh mozz, and finished with grana. Add some fresh basil to it, maybe some of his house made sausage, and it is perfection in my book.